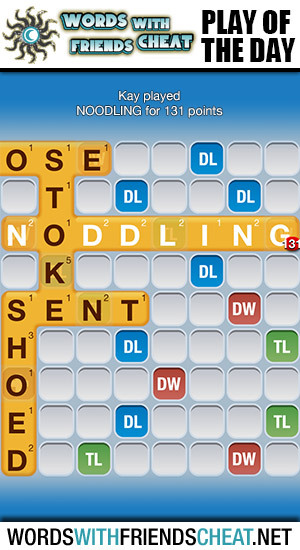 Today’s Words With Friends – Play Of The Day is NODDLING (131pts) and was submitted by Words With Friends Cheat user Kay. Kay brilliantly tied into another word which allowed her to span across a double word, triple word, and a triple letter. In doing this, she also earned the full rack bonus.